You are here: Home » Blog » Guidance and Advice » Smoke alarms a useful guide for saving your life! Smoke alarms and lack of working ones seems to be always in the news these days. That’s why we thought lets write up something that can make it simple for people to use that can make a difference at home. I hope this is of use to you and please leave any comments and we will reply. You are more than twice as likely to die in a fire at home if you haven’t got a smoke alarm. A smoke alarm is the easiest way to alert you to the danger of fire, giving you precious time to escape. The more alarms you have, the safer you’ll be. At minimum you should have one on each floor. However, if you have only one alarm and two floors, put it somewhere you’ll be able to hear it when you’re asleep. If you have a TV or other large electrical appliance (such as a computer) in any of the bedrooms, you should fit a smoke alarm there too. Many fire and rescue services in Scotland offer free home fire risk checks. Strathclyde Fire & Rescue is offering free home fire safety visits to everyone in the area. It usually takes a few minutes to install your smoke alarm yourself - just follow the manufacturer’s instructions that come with it. 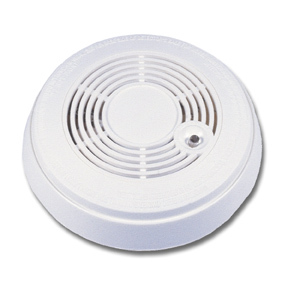 The best place for your smoke alarm is on the ceiling, near or at the middle of the room or hall. The alarm should be at least 30cm (one foot) away from a wall or light. Thanks again for reading our blog and as ever if you have any questions or topics you want covered then please call us on 01415612735. This entry was posted in Guidance and Advice and tagged alarms, life, Safety, scotland, smoke. Bookmark the permalink.